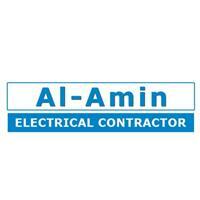 Welcome to Al-Amin Electrical Contracting. We are an electrical contractor offering full electrical services in both the commercial and domestic sectors. With many years’ experience and City and Guilds qualified and NICEIC approved. Our services range from PAT testing to household re-wiring and house extensions. We operate within many areas in London and offer emergency call out service. Our dedication to our clients has given us a great reputation, much of our work comes from recommendations and client referrals. Customer loyalty and satisfaction is the secret ingredient that has allowed us to flourish and is our primary concern. Our aim is to make the construction and improvement process simple, easy and time efficient with minimum hassle to our clients. We promise punctual, professional and polite service from our trustworthy and skilled staff. All our projects are given a high quality finish, at a competitive fee.